Time to review my 2nd quarter goals and results for the FAL2014 hosted by Katy at The Littlest Thistle. You can find the Q2FAL Linky Party here. 1. 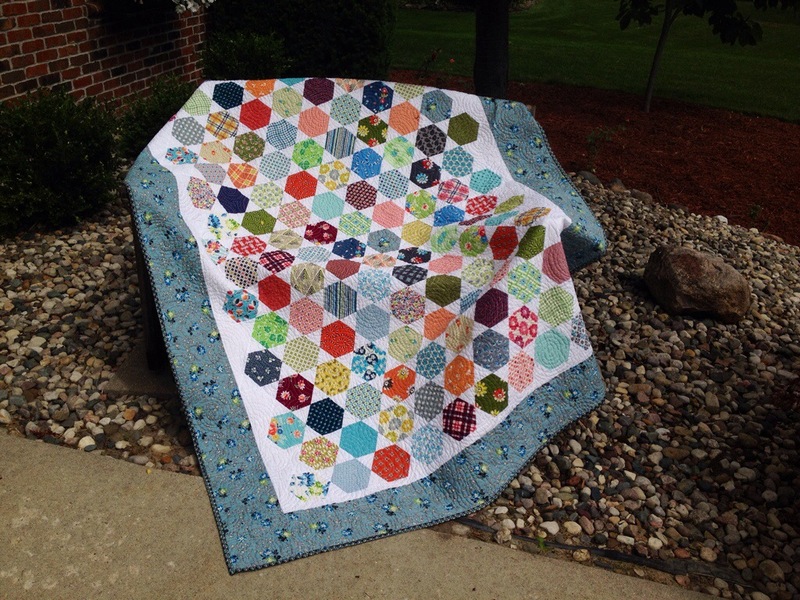 I love this DS hexie top. 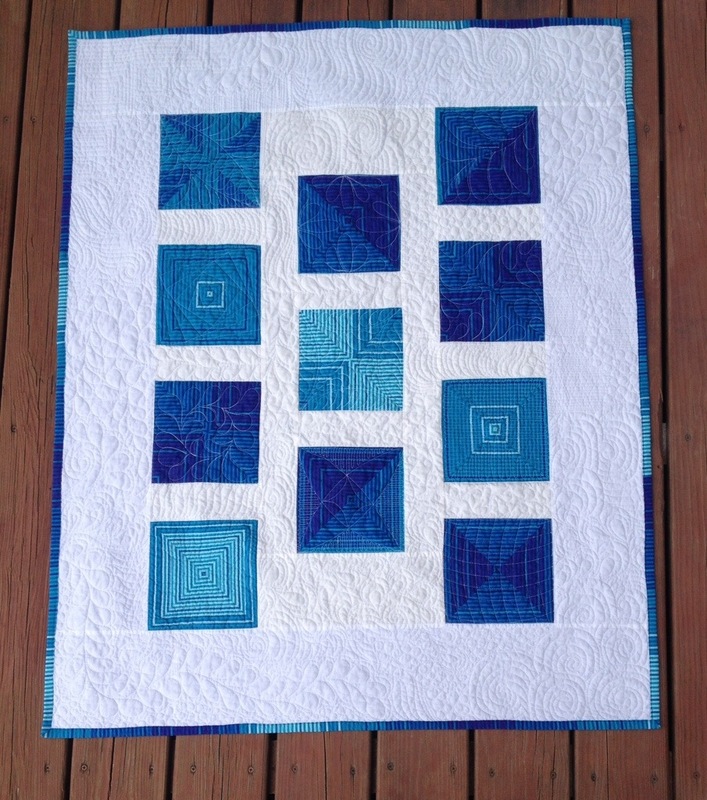 I want to add some borders and get it quilted. DONE! 2. 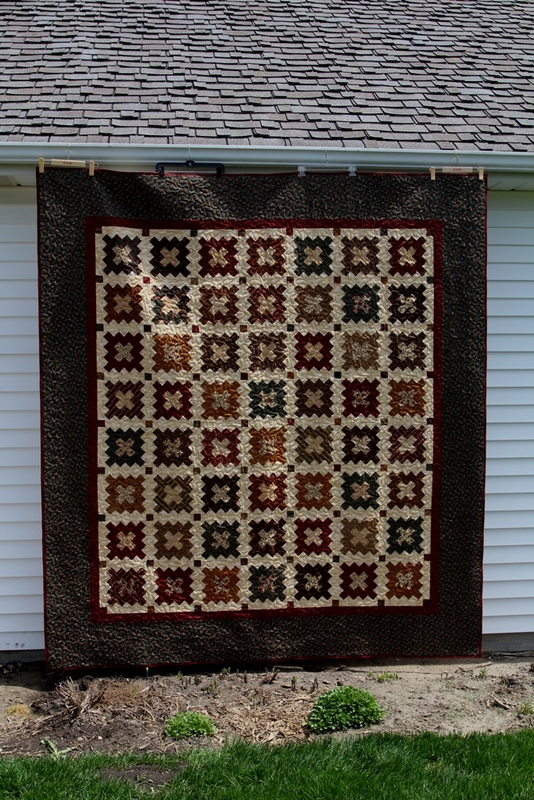 The calendar quilt….holdover from last quarter. Sigh…. Not done….AGAIN! 3. I need to make presentation cases and labels for these three QOVs so I can ship them off. DONE! 4. This labyrinth has some issues. It has been languishing in a drawer for several years. I need to either fix and finish to pitch it. DONE! 5. This one just needs a facing and hanging sleeve. 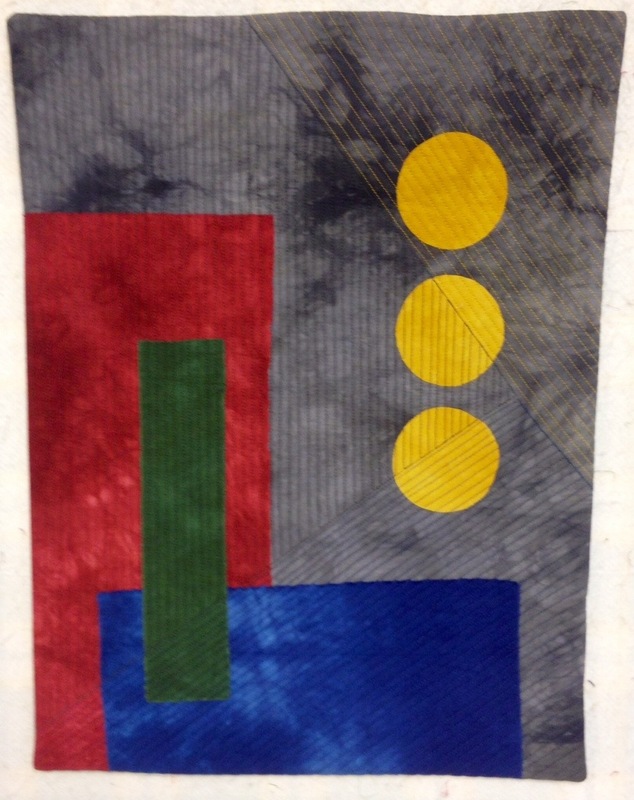 I need to finish it for a small show next month for my art quilt group. DONE! 6. This one needs the same finishing treatment. DONE! 7. 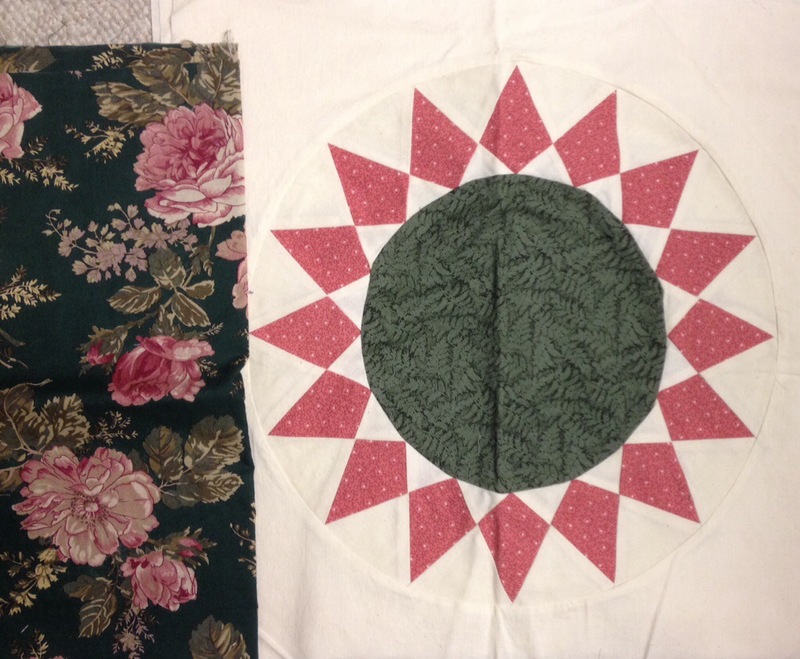 This unfinished baby quilt has been around too long as well. 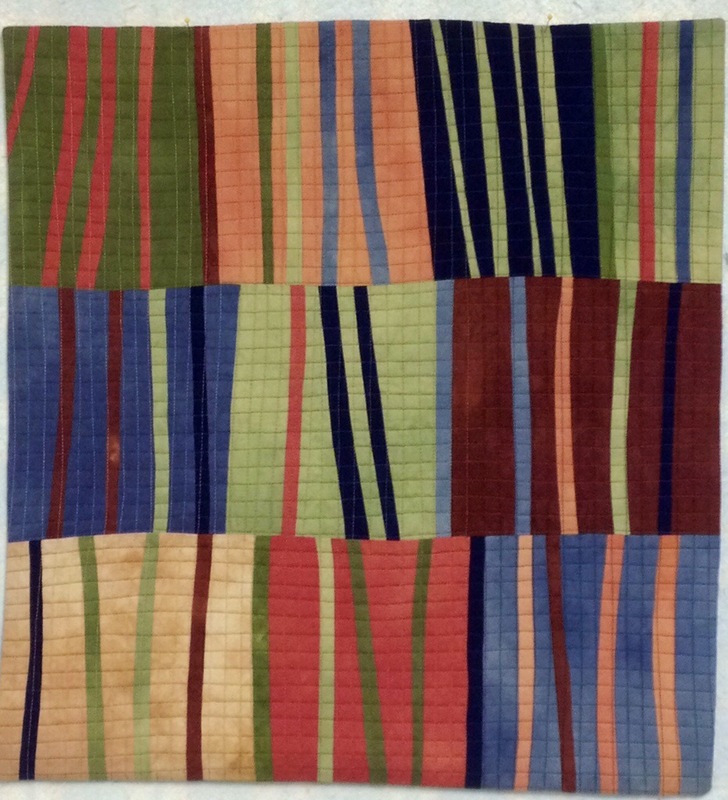 It will be a good practice piece to quilt. DONE! 8. I made 5 of these blocks about 15 years ago. I still like them. I really need to make 4 more though. I bought this border fabric in England though I think it is Marcus Brothers. NOT DONE! 9. Album Quilt. I got so bored making these blocks but I would like to get this finished and on my bed by fall. DONE and gifted to my parents! 10. I can’t show a picture of this one, but I also need to finish the baby quilt for Baby Q. Yes, I already made two but this one will match the crib bedding that I made. DONE, gifted and the baby has been born! 8 out of 10 items on my list got done. I’m calling that good! Most of these things I would not have worked on much less finished if not for the FAL. Linking up with Kelly at My Quilt a Infatuation for Needle and Thread Thursday. 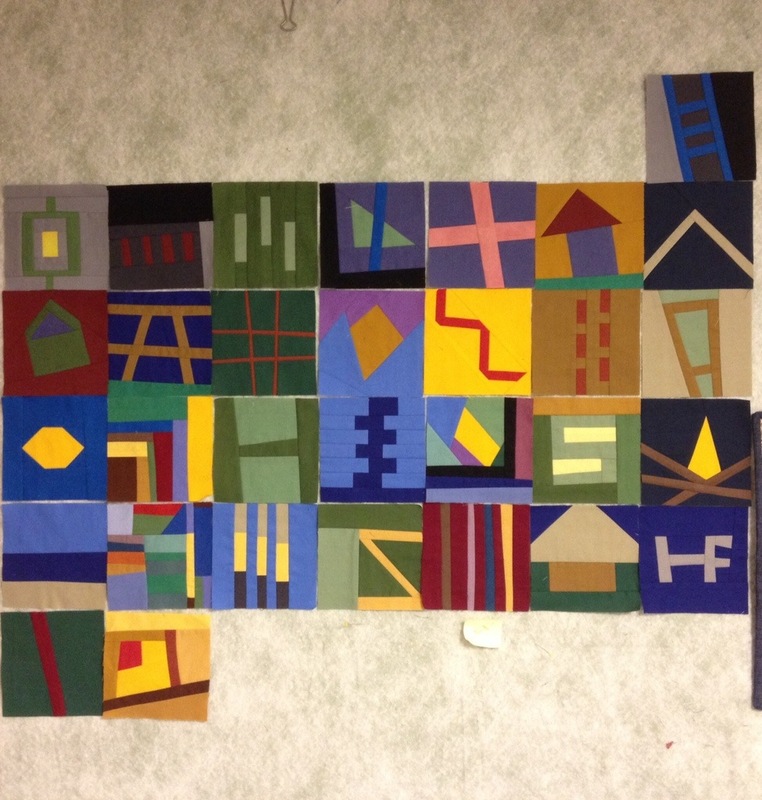 This entry was posted in FAL 2014, Finishes, Goals, Uncategorized. Bookmark the permalink. Oh my goodness – I hope you are proud of yourself!! Your QAL’s are wonderful and 8 out 10 is terrific. 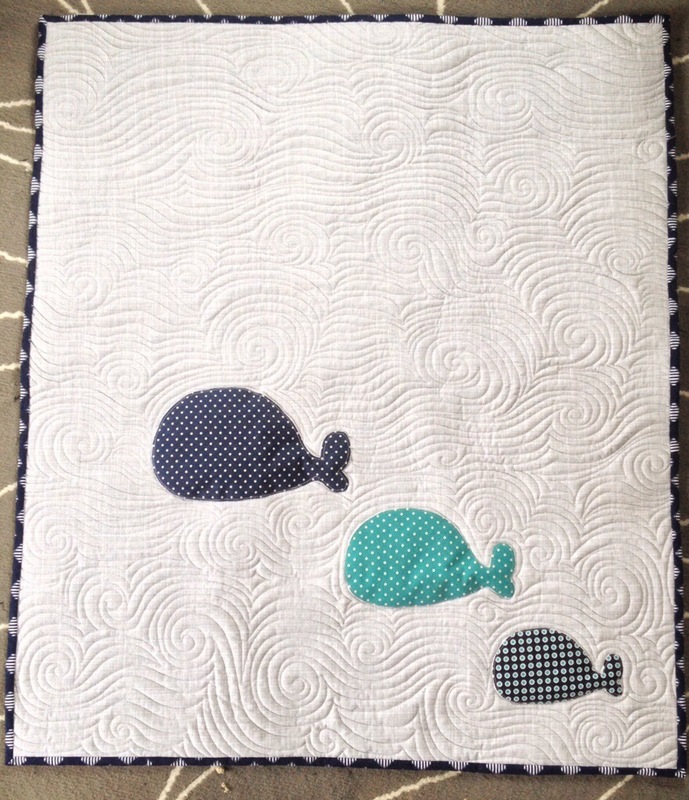 I love the baby quilt with the whales on – the other blue and white baby quilt is nice too. Really like the rosey fabric on a black background that you say you bought in England – so beautiful. 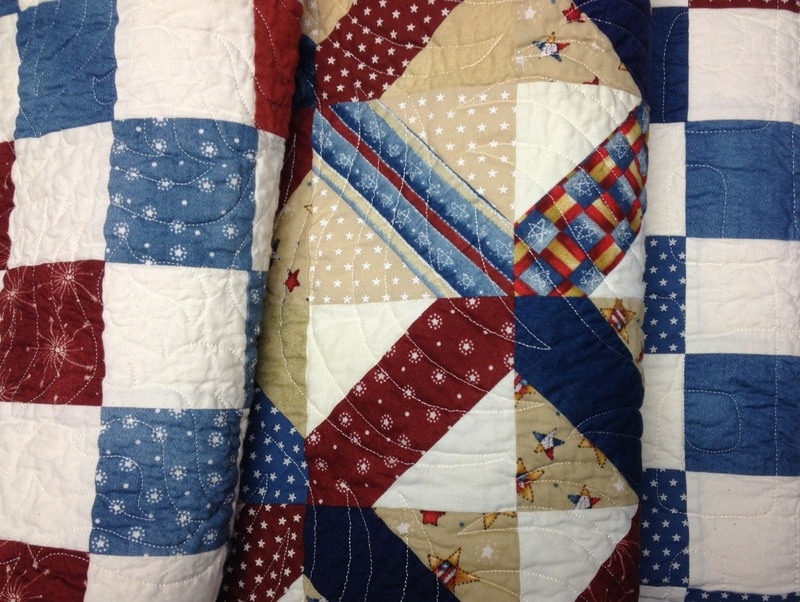 Your hexagon quilt is lovely now with its new border – so pretty. 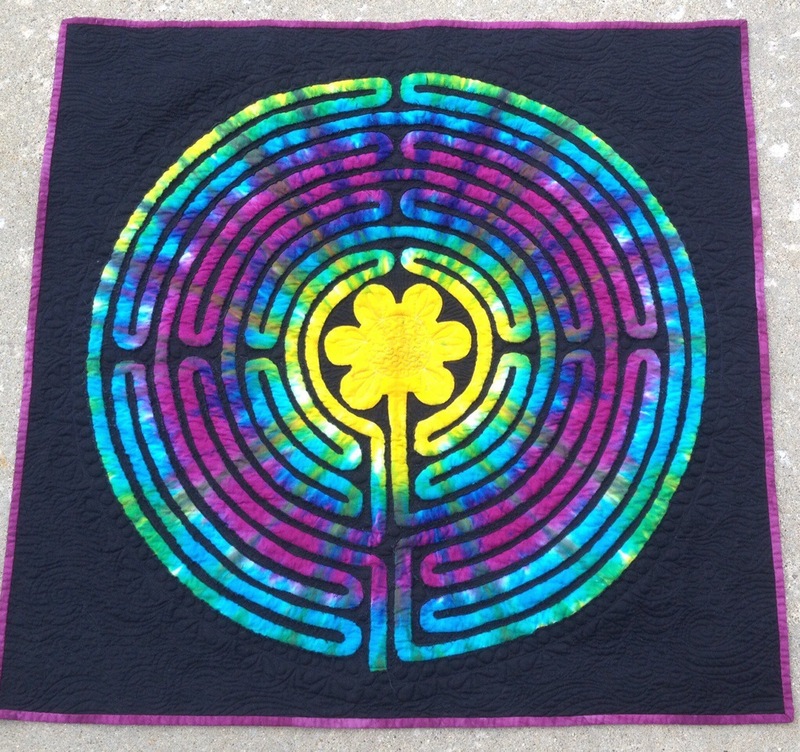 I also like your labyrinth quilt. Such a variety of styles your have here – you must have tons of free space available now if these are leaving your workspace. Congratulations. Excellent Job! That’s a lot of finishes. Oh, Katy! I am in AWE of you! I’ve so enjoyed the journey whilst riding on your coat tails. You’re my hero. Great finishes! I need to follow your lead this month. I’d say 8 out of 10 is fabulous! Well done!